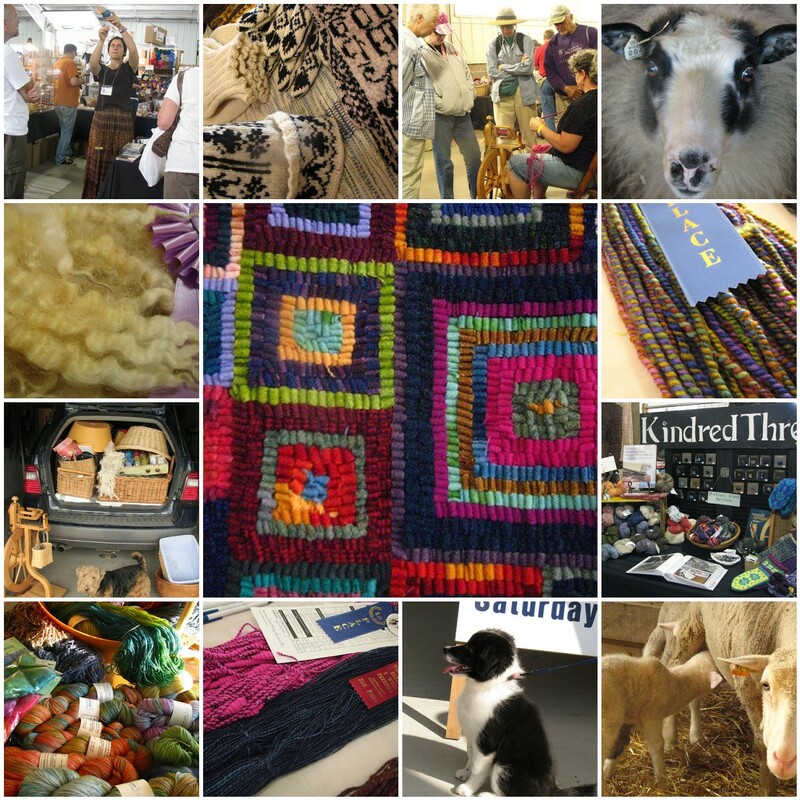 The Sheep and Wool festival was a lot of fun this year. I always think that I am not going to do it another year; but once surrounded by fiber and the the people that so enjoy it, it would be silly not to be part of it. I had the incredible pleasure of meeting a lovely woman who after reading my kindred threads yarn label; asked if I was the kindred threads who blogged. Whoa! I guess I know that people besides my friend Nance in Seattle read this on occasion but have never really thought much about it . If she only knew (and maybe she does now) how she made my day. I know that I asked her name but it promptly fell out of my head, as names frequently do. So anyway thanks for being interested in my fiber journey. I love this connection, between people of all ages and interests, that writing this blog, brings. What started out as a journal to myself, about the fibery parts of my life, has become so much more. Thanks to Nan and Barb for helping out this year. I think they caught the fiber fever too, and we will be sharing a double booth next year. Wohoo, I’d better keep the dyepots out. What beautiful pictures, love the black and white mittens! And the BC puppy. Oh heck, I love them all and it looks like it was a wonderful festival. We had a wonderful time. I always think I won't sign up for another year because I have the two shows so close together; but then I do. Oh, well. Too much fiber fun to miss out on it.